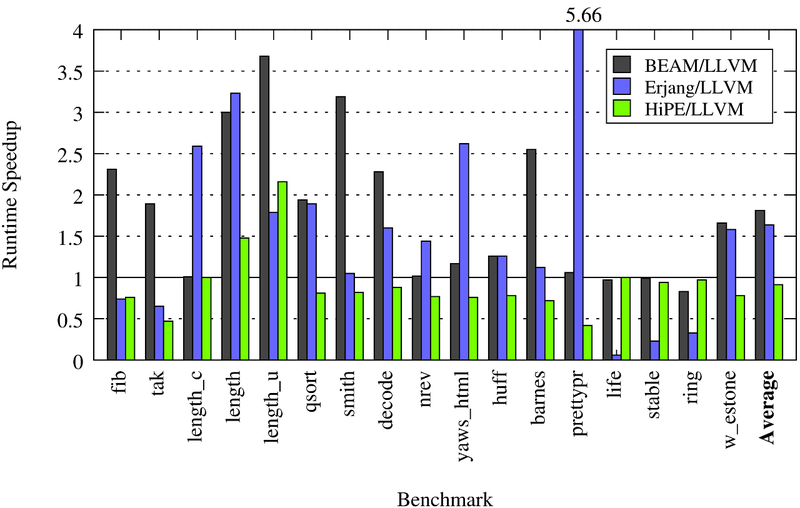 Performance - How good is ErLLVM? 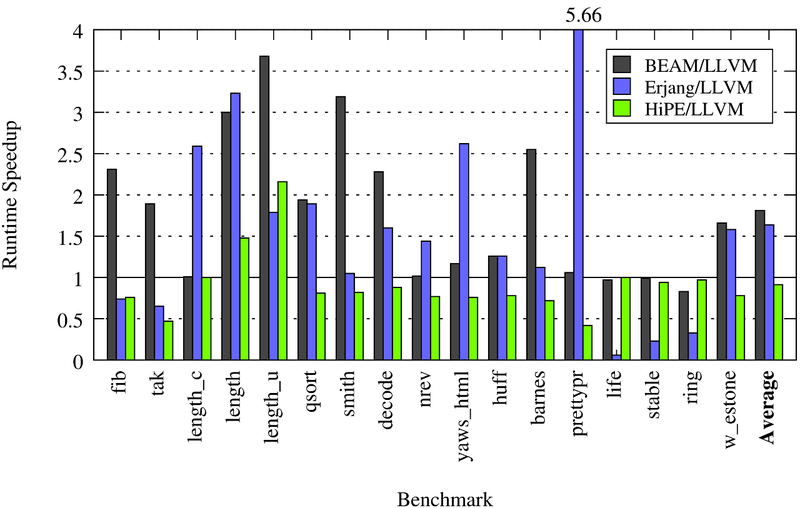 In the figure below we can see the evaluation of ErLLVM against BEAM, HiPE AMD64 back end and Erjang in terms of speedups. As can see from the figure, ErLLVM presents noticeable speedups compared with interpeded code across a range of Erlang programs. 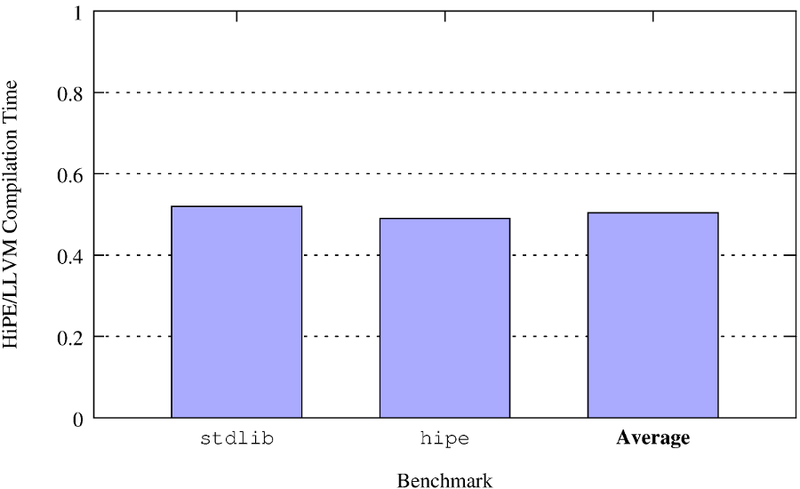 HiPE still offers the best performance. However, the results are quite promising regarding the early stage of ErLLVM development.